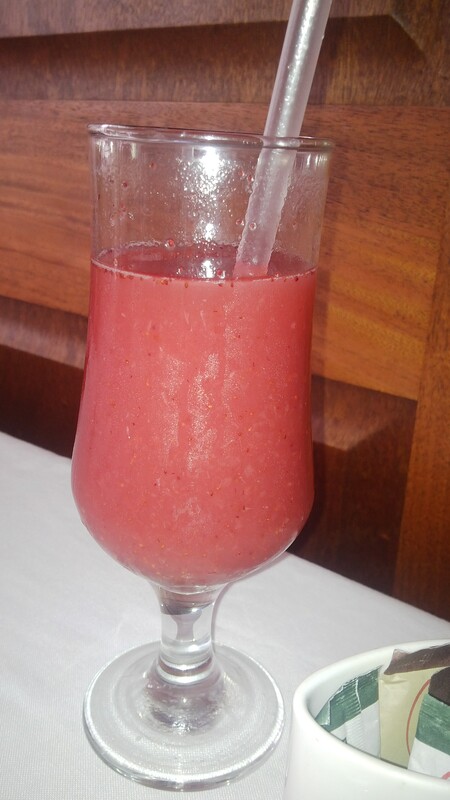 Justin and I celebrated our 6th wedding anniversary last Saturday and he treated me with lunch at Havana Grill at Suncoast. I love the setup at the restaurant. It’s very light, minimal and airy with a bit of a rustic feel to it. The waiter showed us to our table and gave us a few minutes to decide on drinks. Justin ordered coffee and I ordered strawberry juice. I’m not a coffee drinker, but his coffee smelled amazing even to me. For starters we ordered the calamari and the jalapeño poppers. For mains, Justin had a rib eye steak with onion rings, mash and a peri peri sauce on the side and I had the lamb shank with the herb risotto on the side. 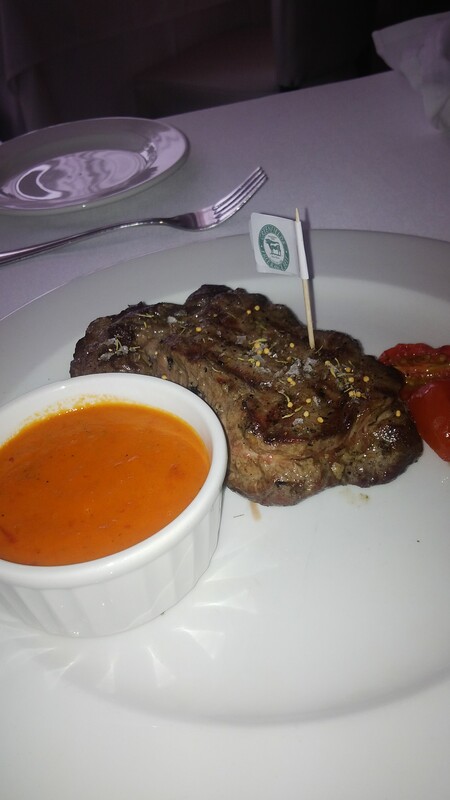 Its good to note that the steak is 28-day wet-aged free-range grass-fed beef from a farm outside Mooi River in KZN. To be honest we were a bit taken aback by the portion size and realized that we had ordered way too much food. The portions are very generous and you are definitely getting your money’s worth both in quantity and especially quality. 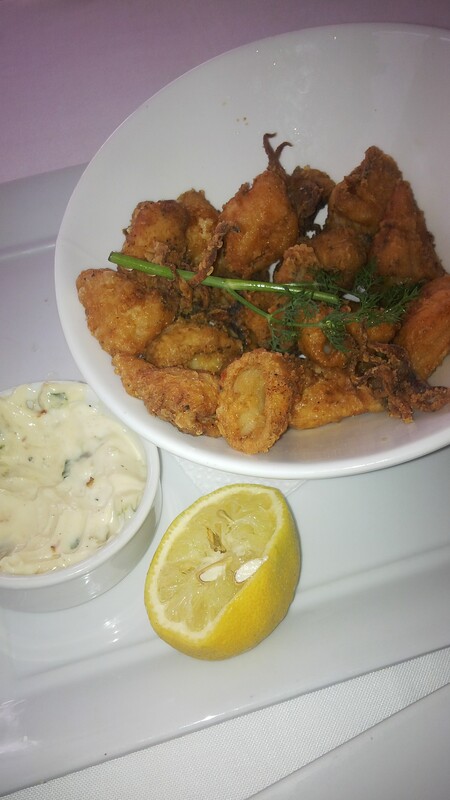 The calamari was crispy and not over fried or rubbery. 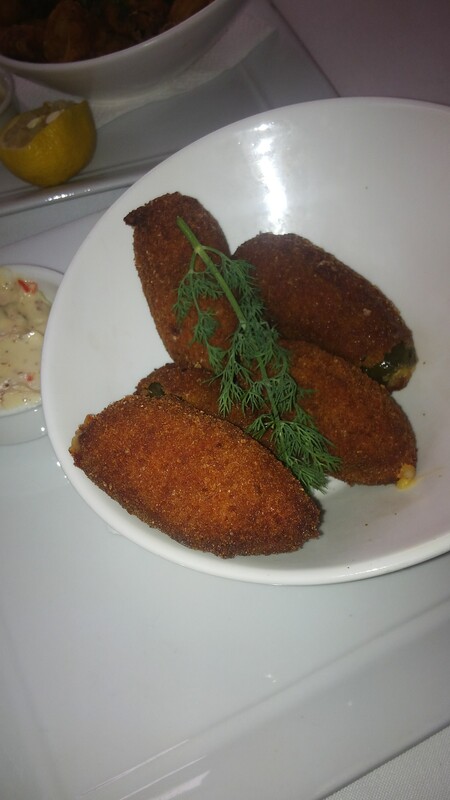 The aioli was a great substitute for the run of the mill tartar sauce that is usually served. The poppers were amazing as well. Big, plump and juicy. They oozed cheese when bitten into and the coating was crunchy and oh so yummy. 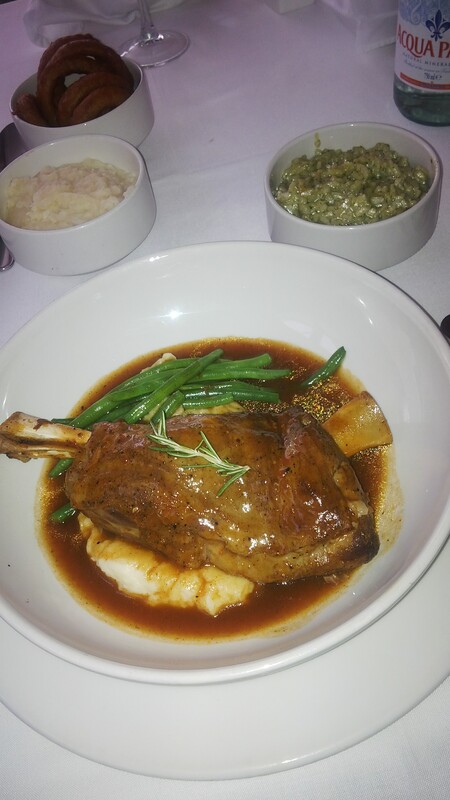 My lamb shank was served with green beans and on a bed of mash. The meat was lovely and tender and fell off the bone. Although the meat itself was a little low in salt, the gravy balanced it off perfectly. My mouth waters as I think about it now. The risotto was lovely as well, not ashy or stodgy but full of flavour. Justin’s steak was a perfect medium. Nicely caramelized on the outside and lovely and pink at the centre. The peri-peri sauce was perfectly balanced. There was a nice warmth but nothing to make you go running for the water and the flavour of the sauce was not overpowered by the heat. 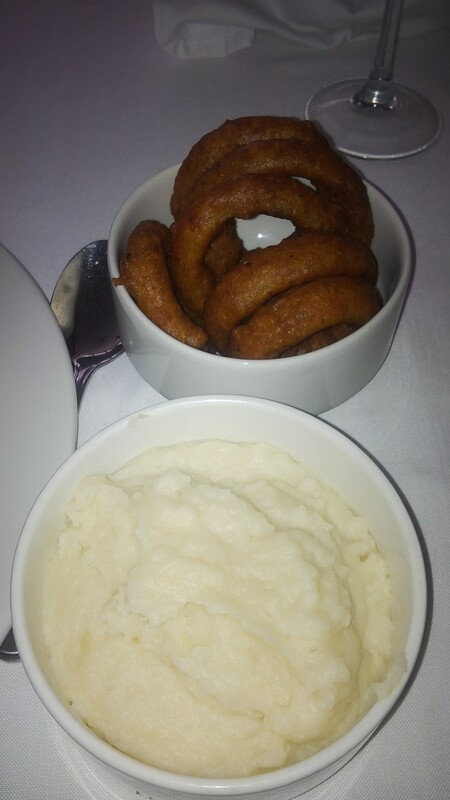 The mash was smooth and buttery and the onion rings were golden and had a nice zing to them as they were dipped in a spicy bhajia mix. We were a bit too stuffed to order dessert ( shock ), and we did take quite a bit of food home with us. For the parents out there, kids are allowed in before 6pm after which only children over 12 will be served. I understand this, because being in Suncoast Casino they will be busier in the evenings and many patrons would not be expecting the “Spur” experience. All in all it is a great venue with amazing food and excellent service.